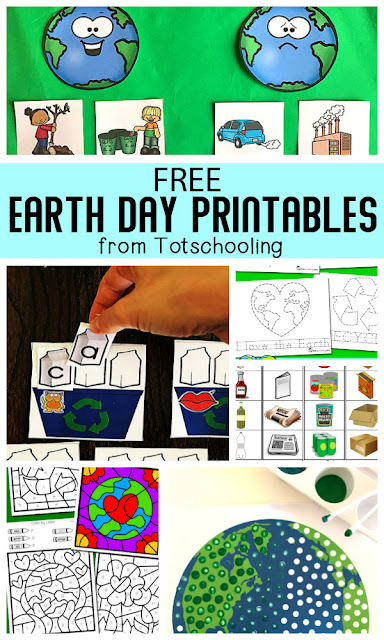 Get your pre-k and kindergarten students excited for Earth Day with these fun, no-prep worksheets where they can practice letter recognition (uppercase and lowercase options), color words and fine motor skills while coloring pictures of our Earth, recycling symbol, trees, flowers and nature! 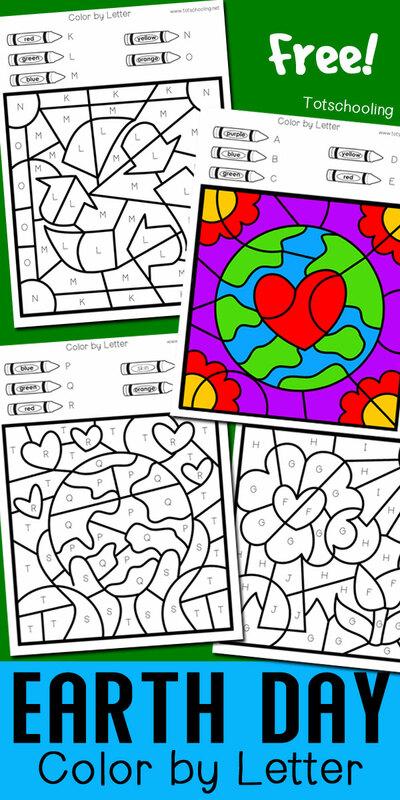 These FREE Earth Day Color by Letter sheets are great for kids to color on their own. They will love revealing the mystery pictures. There are 5 pages included in this set, each in uppercase and lowercase versions. Each page contains 4-5 letters.